Go for a scenic drive along Route 9 or Route 22B and you’ll realize corn fields are pretty much everywhere amidst the Adirondack Coast’s rolling hills. 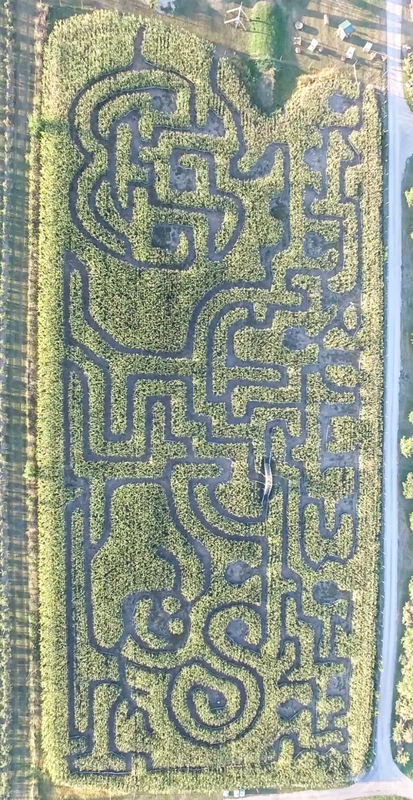 But these aren’t just any ordinary corn fields – they’re mazes! Our agritourism sites like to get creative with their stalks, adding a dash of history, adventure and just plain creepy for any age to enjoy! Whether you’re after a family-friendly adventure, a date-night fright or an out-of-the-box way to experience the area’s diverse history and agriculture, you’re in for a treat – so keep reading! The historic gardens at Fort Ticonderoga date back to 1756, including the surrounding battlefields and their “Heroic Corn Maze”, open from August through Labor Day Weekend with exciting experiences for the whole family, like their “Engineer a Fort” Maze Quest. Upon entering the maze, explorers of all ages are tasked with collecting stamps from 8 stations within, each representing a component of an 18th-century fort. As Halloween approaches at the end of October, the “Heroic Corn Maze” transforms into the “Maze by Moonlight”. Visitors can add the extra challenge of maneuvering through these towering corn stalks under the cloak of darkness… muah-HAHA! This special nighttime experience is open on October 27th and 28th from 7-10pm – last entry at 9pm! Each year, the maze at Country Dreams Farm continues to grow in size – and creepiness! It’s open during regular farm hours, but as the season progresses so do the scares. You’ll see more and more Halloween décor pop up in and around the maze as the year’s spookiest holiday approaches. Your mission? Make it to the other side of the maze, venturing through the towering rows of corn. Along the way, hunt down 12 different stamp stations and fill your slip of paper. Sounds easy enough, right? BEWARE! You’ll find yourself taking more than a few wrong turns, and you never know who – or what! – you might come face to face with before you see the light at the end of the maze. If and when you do make it to the other side, there might be a treat waiting for you – or a trick. You’ll have to check it out and see for yourself. 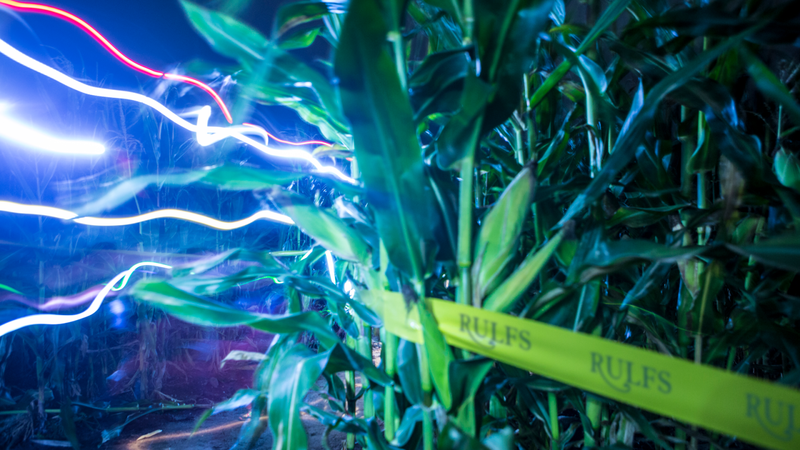 Country Dreams Farm’s Flashlight Corn Maze will be open October 20th and 21st (nighttime fun for all ages!) while the Haunted Corn Maze will be open October 27th and 28th (this one’s not recommended for young children). Rulfs might be known for its brand new facility and surrounding apple orchards (more on that here! ), but it also provides Adirondack Coast adventurers with some thrilling corn maze options during the fall. The maze is intricate enough for visitors of all ages to find it challenging at night – but families can explore the pathways more easily during the day on Sundays and Saturdays leading up to Halloween, from 10am to 4pm. Head to the orchard on October 21st for the Night Corn Maze from 5pm to 9pm. In addition to the maze, you’ll experience a bonfire with music! So, what are you waiting for? Get lost on New York’s Adirondack Coast this weekend. And spice up your Adirondack Coast getaway when you choose one or two of the corn mazes listed above and check out these other nearby attractions.